At the Lyndon B. Johnson Presidential Center in Austin, Texas, a discussion of international medical trips between two 2018 Presidential Leadership Scholars led them to embark on one themselves. Dr. Quyen Chu and Dr. Sunny Jha – a surgeon and anesthesiologist, respectively – recognized the shortage of experience, resources, and technical expertise burdening some developing nations. 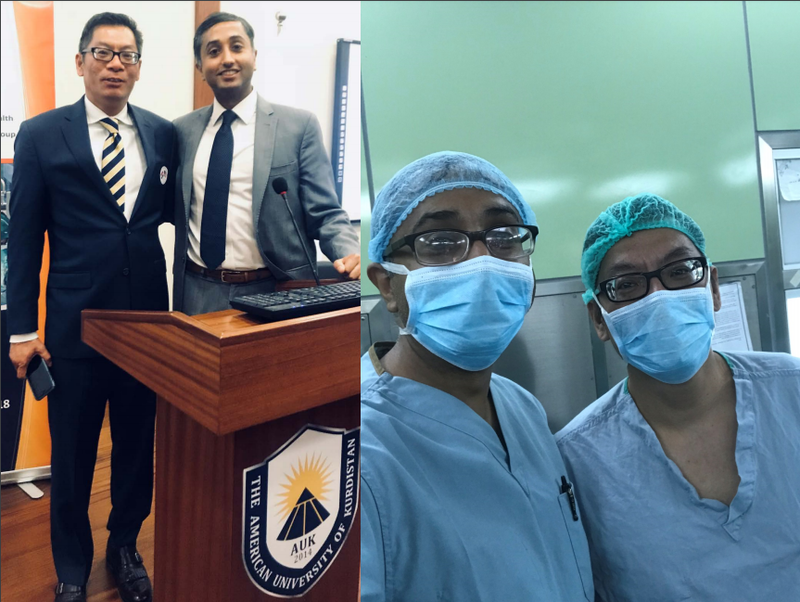 More specifically, Quyen had identified the necessity of safe anesthesia services for effective surgical care, and after a discussion at the fifth PLS Module, invited Sunny to join him on what would be his fourth medical trip to Kurdistan, Iraq. The two were part of a group of eighteen individuals (comprised of physicians, resident trainees, translators, and more from across the United States), who worked with local and regional public health officials in Kurdistan to provide capacity-building, sustainable medical services – such as providing supplies essential to modern surgery and anesthesia. Local patients were examined and scheduled for surgery by the team, and local physicians were taught surgical best practices, such as epidural implementation. With a focus on medical capacity-building and sustainability, the group led a research symposium attended by over a hundred local medical professionals, trainees, and students at the American University of Kurdistan. These conference lectures, on topics relevant to the local communities, highlighted the necessity of up-to-date medical practices and reinforced the attendees’ role as medical pioneers. The team also visited a Syrian refugee camp near Duhok where they distributed aide and provided group therapy sessions and coping strategies to the camp’s children. This is one example of how Scholars are continuing to work together, applying lessons learned from the program, and making an impact in their communities and across the world. This post was originally published on www.presidentialleadershipscholars.org. For updates about the Presidential Leadership Scholars, use #PLScholars or follow @PLSprogram on Twitter and Instagram.